Through the efforts of the New Jersey's Mission of Honor over 330 veteran's cremains have been reunited with their families giving them closure and a proper resting place. 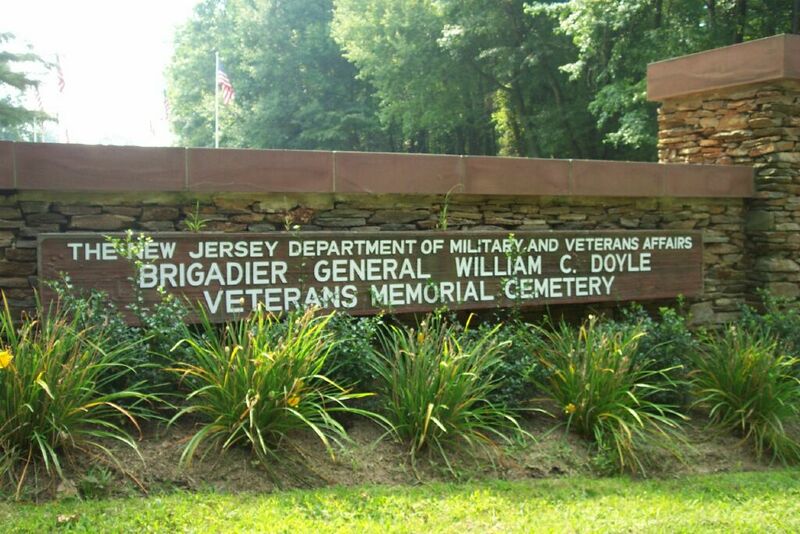 Another 288 Forgotten veterans have been honored and interred in William C. Doyle Veterans Memorial Cemetery for a total of 618 veterans removed from funeral homes thru out the state of New Jersey. 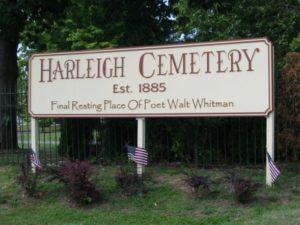 Due to the awareness of the NJMOH throughout the state relatives of many, many civilian cremains have also come forward to claim their loved ones and give them a final resting place. 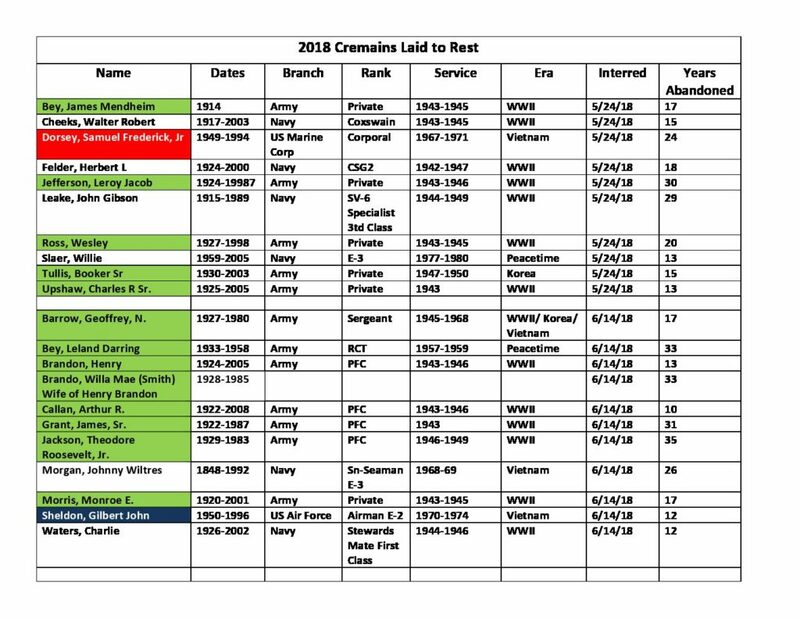 To view Cremains Laid to Rest from 2009 - 2016, click here.